As the US and Canada moved deeper into the late 1970s, where emissions and safety needs superseded the need for custom bodywork, some coachbuilders still were able to make custom bodies. Since a full custom body was largely off the agenda by this point, buyers with custom dreams were limited to sticker-and-wheel packages, lopping off the roof, or transforming coupes into pickups or shooting brakes. Wait, what was that last one? 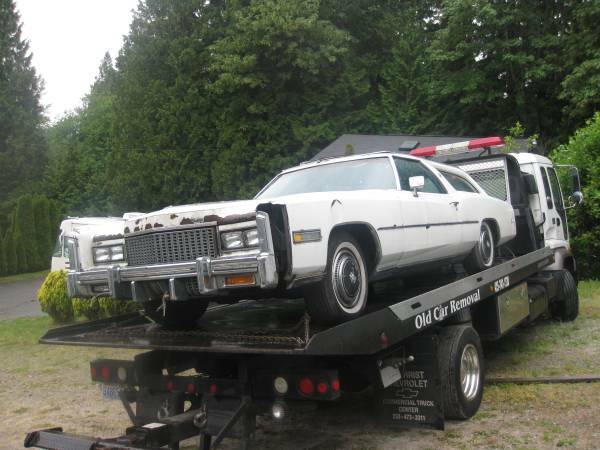 Check out this 1976 Cadillac Eldorado Comstock Wagon for sale for $2200 in Lynnwood, WA. Caribou seems to have produced custom cars for sale at significant expense over the regular list price. Most were Coupe de Villecaminos, but they also produced some wagons, or shooting brakes – maybe you can think of this as the American interpretation of the Lynx Eventer. 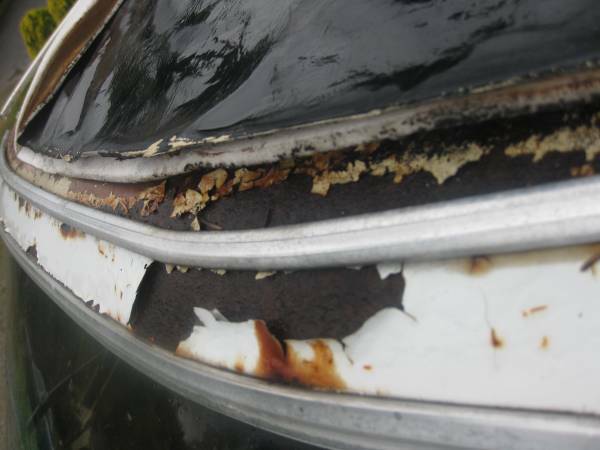 This particular car is in really rough shape – though it seems to have only limited rust on the lower body sections, the custom roof looks to have corrosion issues. Many of these front pieces should be easily replaced with parts from a donor car from a dry state, though those plastic filler panels at the fender tips should be replaced with new parts. Fortunately those are readily available online, though you’ll probably need to trim them to suit your car. All glass seems to be intact, though it’s likely Caribou raided someone’s parts bin for those. It’s not clear whether that’s vinyl on the roof, as the side windows are inset, though at this point white vinyl would probably be stained. 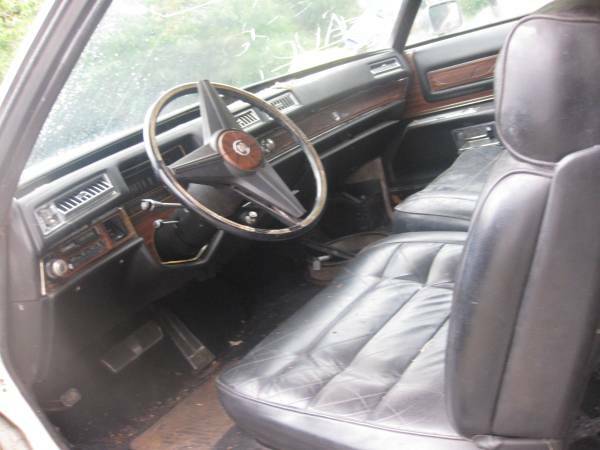 The interior looks pretty remarkable, though the steering wheel horn pad is coming off, and the dash top looks a little cracked. Feed the leather seats, clean the carpet thoroughly (especially in the trunk of a 1970s coupe wagon – yech!) and you should be all set to go here, which is good since you’ll be spending a lot elsewhere. 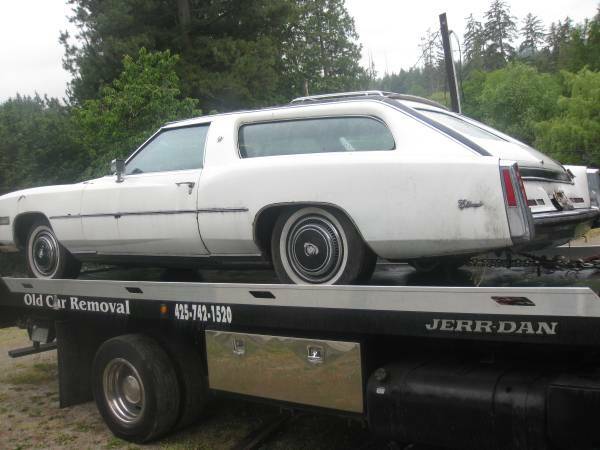 The car is said to run well enough to drive onto a trailer, though it needs the trunk boiled out. And here’s the roof. It start here, and this is probably above the windshield, showing vinyl behind it. You’ve got your work cut out for you, if you have the bodywork chops to take this on! This entry was posted on October 27, 2015 at 10:09 am and is filed under Feature. You can follow any responses to this entry through the RSS 2.0 feed. You can leave a response, or trackback from your own site.